Grateful Bags - Bridesmaid Gifts. Show your bridesmaids, mother-in-law, friends and flower girls how special they are with a personalized handbag from Grateful Bags. Grateful Bags is the handbag line with the patented concept of interchangeable monograms. Crafted with love of individuality yet classic style, Grateful Bags are the noteworthy handbags that transcend time, age and charm. Whether you carry this cute, versatile accessory to a special event, as an addition to your everyday wardrobe, or even give it as a gift, bring out the inner you through fashion with Grateful Bags! How does it work? Choose your style from small wristlets to larger totes for everyday functionality. Next pick your color. Are you looking for practical black or gray? Or do you want a pop of color with ocean or pink? 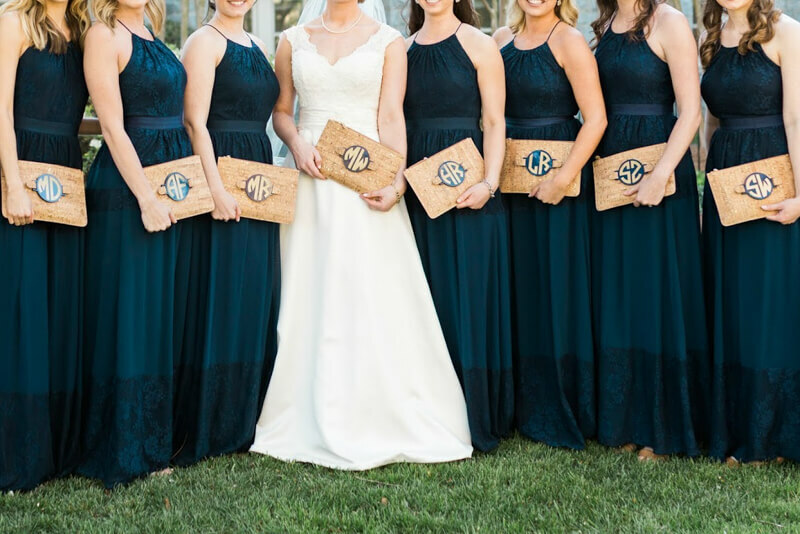 Now the fun part…..check out all the options of the monograms. For the fashionista, how about the “blonde tortoise” in script. For the funkier lady in your life, choose the “gunmetal” monogram with block font. So many combinations, you will have to order more than one to have fun mixing and matching. Use code TRENDY for 30% off the entire Grateful Bags site through Friday.